Wear this charmed bangle bracelet to symbolize navigation, direction and the journey and opportunities of life's path. 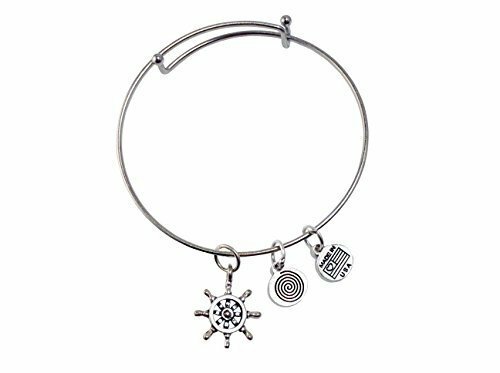 Ship's steering wheel charm measures 3/4 inch long. 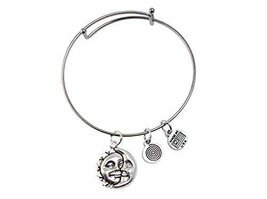 Bracelet un-expanded is 2.5 inch diameter. With charming card and Henry Miller quote, "One's Destination is never a place, but a way of seeing things." 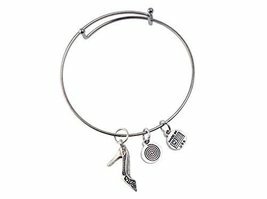 Expandable bangle bracelet, can accept additional lobster claw removable charms.